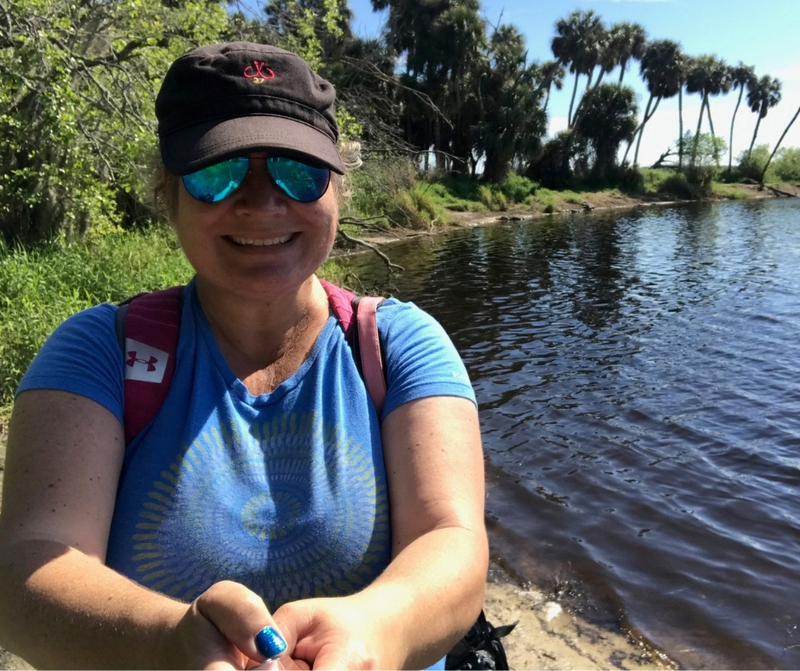 I checked something off my Florida bucket list earlier this month by hiking Myakka River State Park’s Deep Hole. 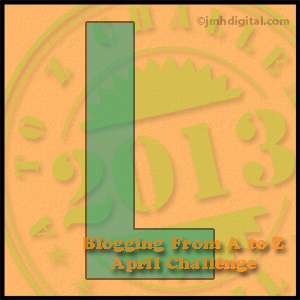 Only 30 people a day are permitted access so this journey earned me bragging rights. 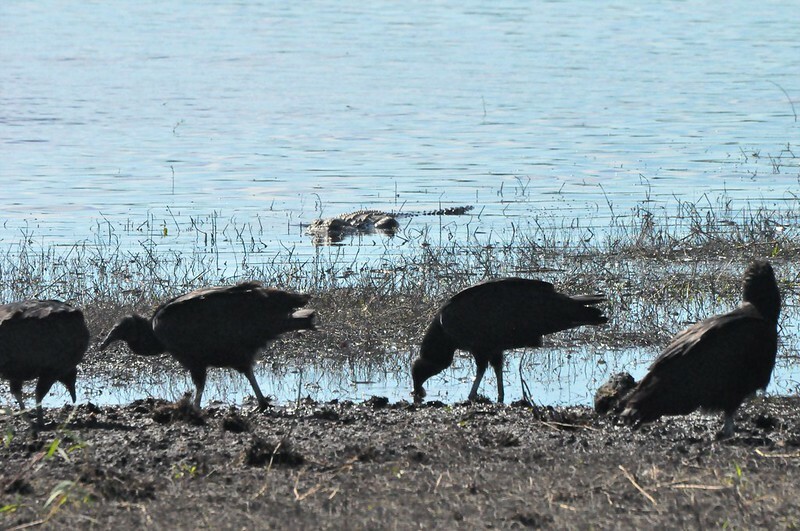 Alligators Watch Black Vultures at Deep Hole in Myakka River State Park, March 2019. The first alarm sounded at 5 a.m. on a Sunday. My dog, curled up by my feet at the end of my bed, grunted. I rolled over to shut it off with intentions of getting out of bed with the second alarm at 5:30 a.m. When that sounded, my dog grunted again, knowing waking up that early on the weekend is not normal. He is such a smart, good boy. Turning off my alarm clock, my body decided the adventure I needed was sleep, until 6:30 a.m. rolled around, the typical time I stumble out of bed during the workweek. 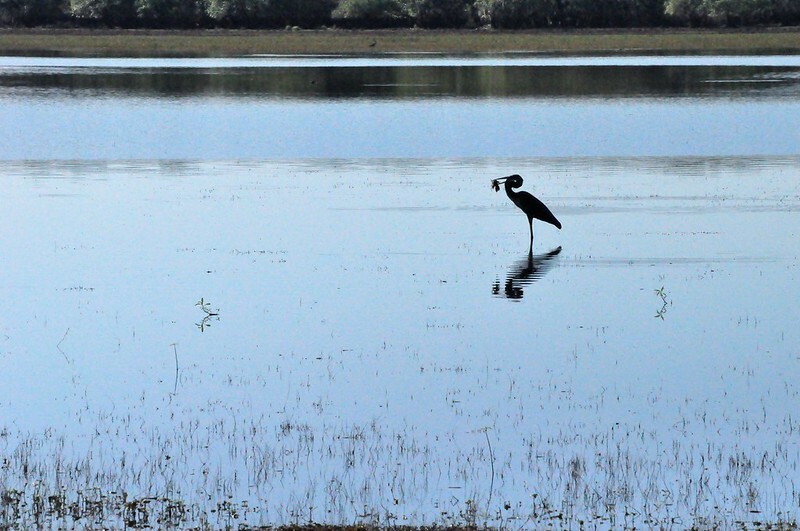 The early bird gets the worm but at Myakka River State Park’s Wilderness Preserve, the early hiker gets one of 30 access permits a day. Entrance to the Myakka River State Park Wilderness Preserve Deep Hole Trail, Sarasota, Fla. The main attraction in this 7,500-acre preserve are the alligators in Deep Hole, which is a 134-foot-deep sinkhole about 200 feet wide. Early mornings during cool months, upwards of 200 gators have been spotted sunning along the banks. 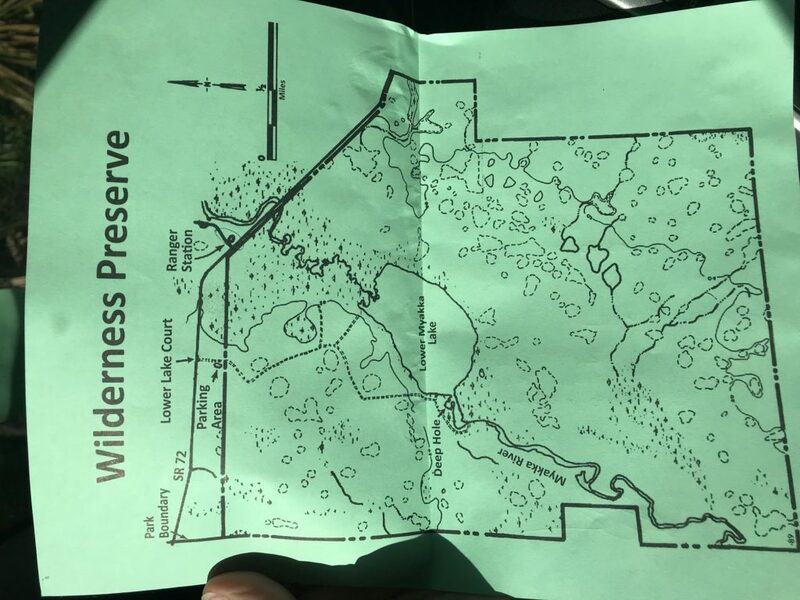 Day-use permits to access Deep Hole are issued on a first-come, first-available basis beginning at 8 a.m. from the Myakka River State Park Ranger Station. Arriving around 8:45 a.m., I hoped there was a permit available and to my surprise, there was. According to the park ranger, I was number 18 for the day. He provided me with a map to locate the parking area, gate code, and day permit which included a map to Deep Hole. Trail Map of Myakka River State Park Wilderness Preserve’s Trail to Deep Hole, Sarasota, Fla. 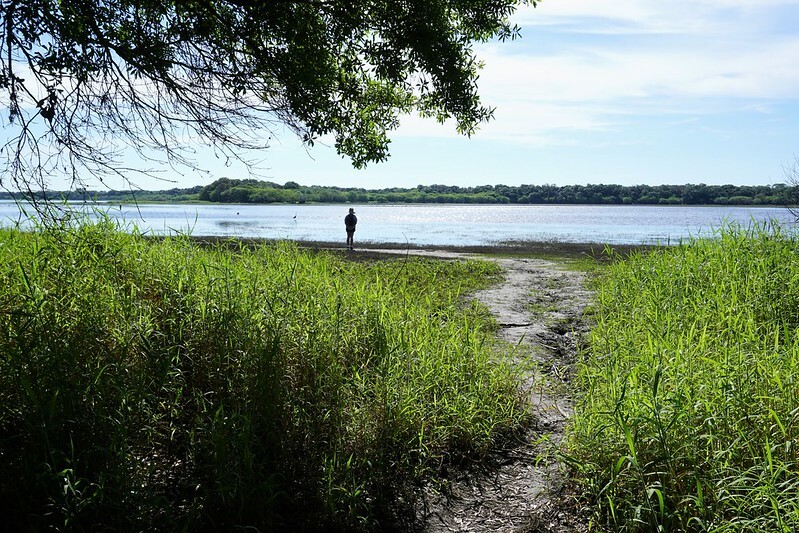 The 2.2-mile hike was primarily through dry prairie habitat which is primarily grasses, low shrubs, and a few trees. It is an open hike meaning there is little shade until reaching Deep Hole. It is a relatively easy walk over dirt and some sandy areas. Along the way, I met visitors from Ohio, Atlanta, and Arkansas. 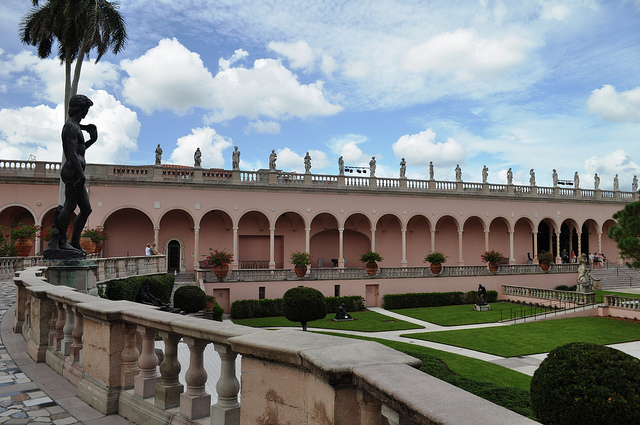 Some knew about this special area and specifically planned their time in Sarasota to make the trek while others learned about it from the park ranger that morning. 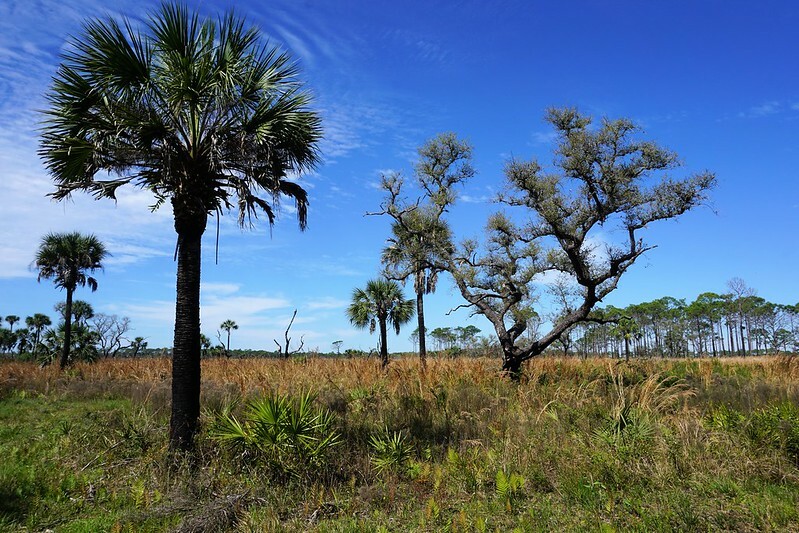 Some of the Scenery Along the Way to Myakka River State Park’s Deep Hole, Sarasota, Fla.
With each step, I listened to the sounds around me. There were melodic bird calls, woodpeckers knocking, insects squeaking, and wind rustling through the grasses and shrubs. The air along the trail smelled clean and occasionally, I caught a whiff of a musky scent, most likely from wild boar, which I did see one on the hike out. There are few signs along the trail, no benches, no facilities. It is just you, up to 29 other people, and Mother Nature. Is this Deep Hole? No, But it’s Where the Trail Leads, Turn Left to Find Deep Hole, Myakka River State Park, Sarasota, Fla.
A few birds waded in the water. A Great Blue Heron scooped up a fish and swallowed it in a few gulps. A pair of Cormorants floated, dove in unison, then popped up to the lake’s surface. A few logs floated near the birds and upon closer look, I realized they were alligators. Black vultures congregated to the north of where I was standing and appeared to be enjoying a feast. I looked at the map in the permit, which must be carried during the journey, and realized I was at the southern end of Lower Myakka Lake which is fed by the Myakka River. The river flows through the lake and continues its journey to Charlotte Harbor. Serenity Along the Way to Deep Hole in Myakka River State Park, Sarasota, Fla. Deep Hole was north of where I was standing so I headed that way (to my left) toward the black vultures. About a dozen or so scattered and a handful remained on the ground barking at each other, sounding like dogs. They combed and cleaned the shore as alligators floated feet away. 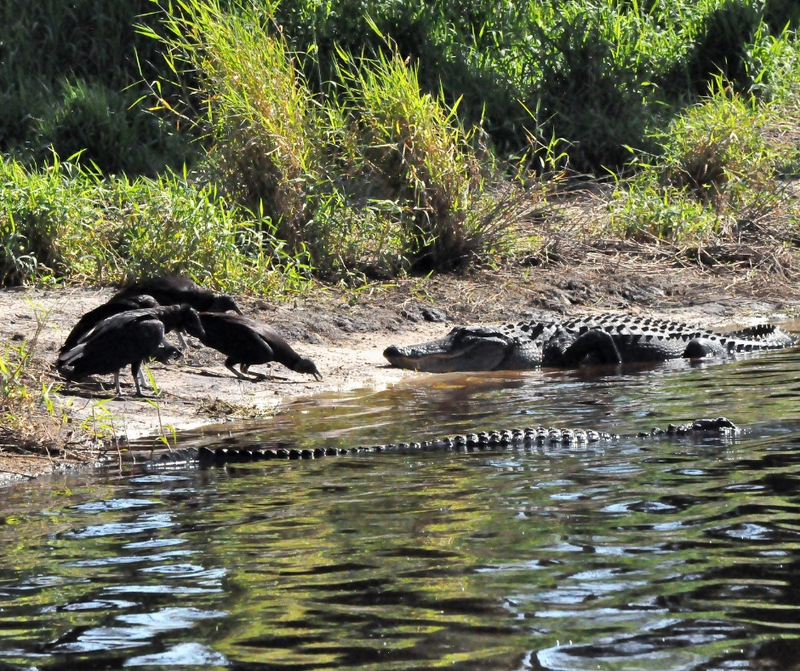 I thought I would witness a National Geographic moment, but the alligators left the vultures in peace. A Photographer Fron Arkansas Extended His Business Trip to Visit Deep Hole, Myakka River State Park, Sarasota, Fla.
On this warm morning at about 10:30 a.m., I spotted about a dozen alligators in Deep Hole and I am sure there were plenty more either on the other side of the hole or suspended in the tannin water. Not that I am expert, but these were some of the largest alligators I have seen in a natural setting. A photographer from Arkansas showed me a safe spot to snap a few photos with my 300-zoom lens. He promised to make me go viral in the event an alligator grabbed me while snapping some shots. Spot the Alligator? Deep Hole at Myakka River State Park, Sarasota, Fla. In seriousness, alligators are wild, unpredictable animals and command respect. Stay at least 100 feet from them and remember, they can run up to 35 mph but only in short spurts. Me and the Alligators at Deep Hole, Myakka River State Park, Sarasota, Fla. The people I met soon left and I was alone to enjoy this unspoiled piece of Florida wilderness. 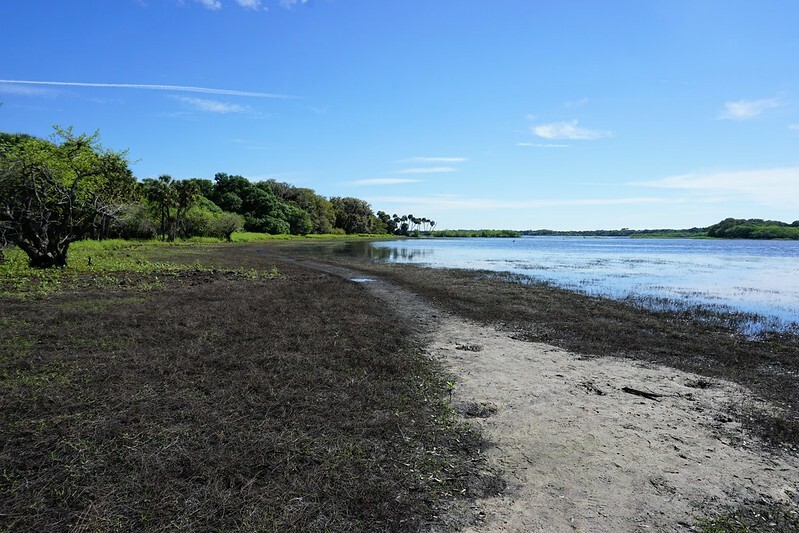 It still amazes me with coastal development creating concrete canyons and beaches and waterways are being built up that there are still serene, natural places a short distance away, including Myakka River State Park. 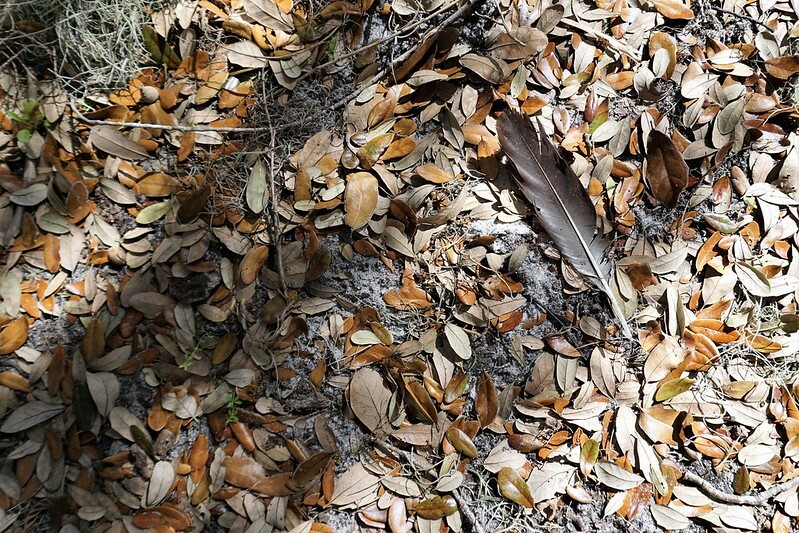 The Hog Was Too Quick but Here’s a Feather Along the Deep Hole Trail, Myakka River State Park, Sarasota, Fla. The 2.2-mile hike back seemed shorter yet warmer than the walk in. A brown wild boar crossed my path about 10 yards in front of me about a quarter mile from the Deep Hole sign and after spotting her, I realized I needed to make more noise along the trail. After returning the permit and parking pass to the ranger station, I refueled my body with a tasty bowl of Alligator Stew from the Pink Gator Café, located inside the park. 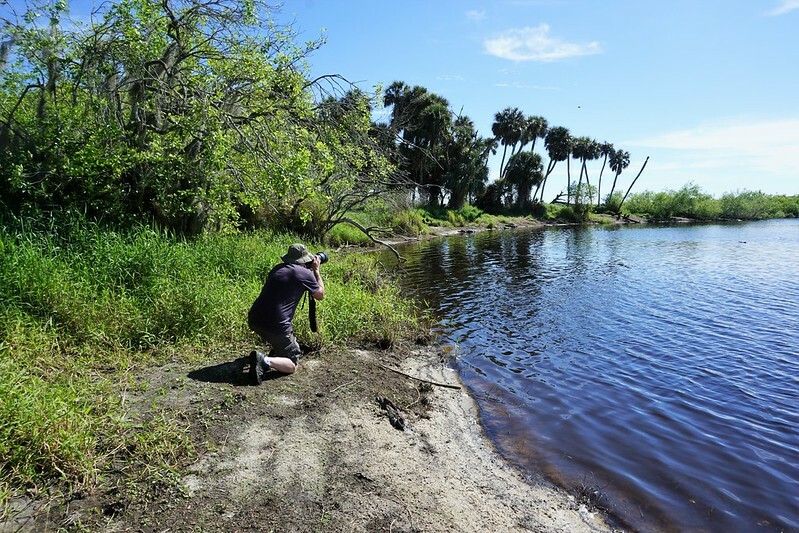 I spent the afternoon playing in Myakka River State Park and I’ll share that another time. Have you hiked Deep Hole? Or, do you have a desire to visit this premium spot for alligator watching? 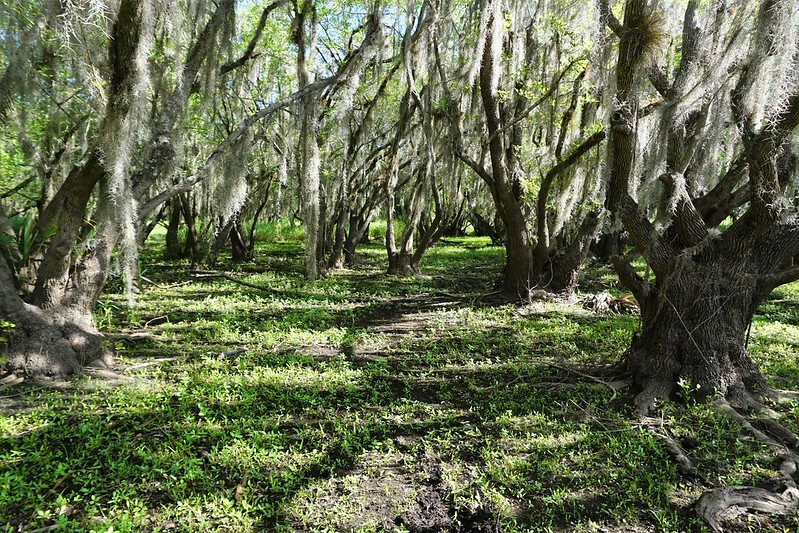 Foliage Around Deep Hole, Myakka River State Park, Sarasota, Fla. 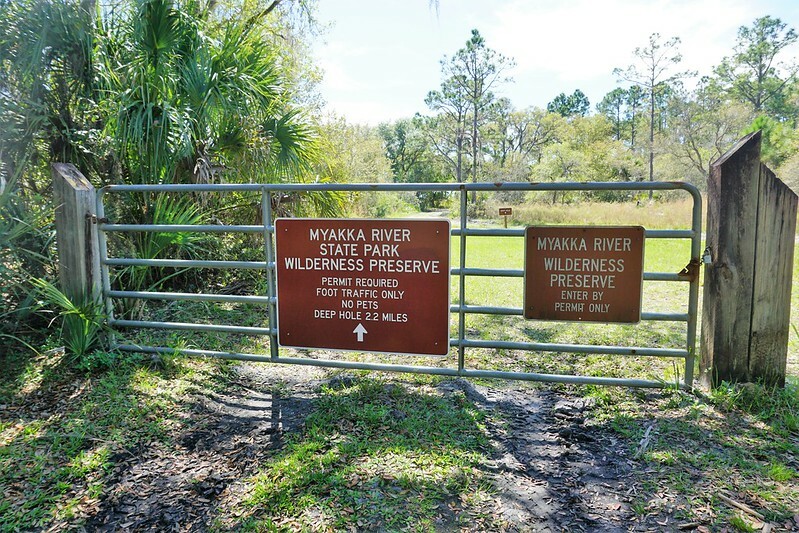 Admission into Myakka River State Park is $6 per vehicle; $4 single occupant vehicle; $2 bicyclists, pedestrians; and there is no additional fee for a permit into Wilderness Preserve and Deep Hole. 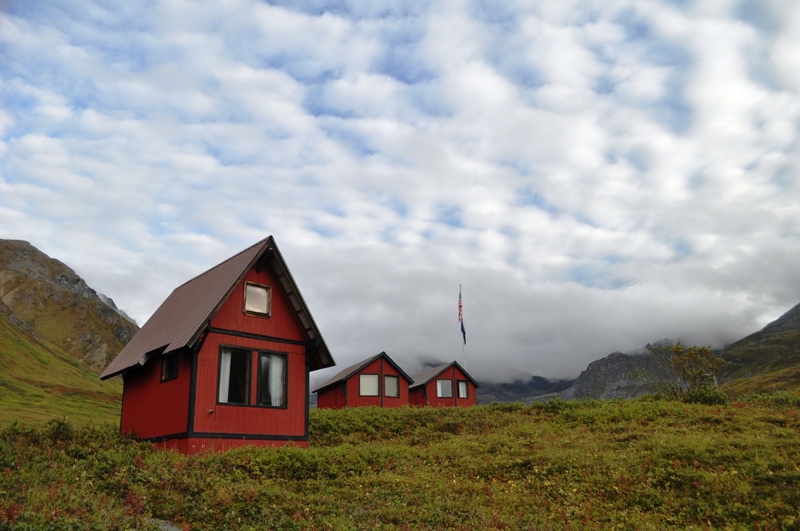 Permits must be returned to the ranger station. The park is open 8 a.m. to sundown daily. 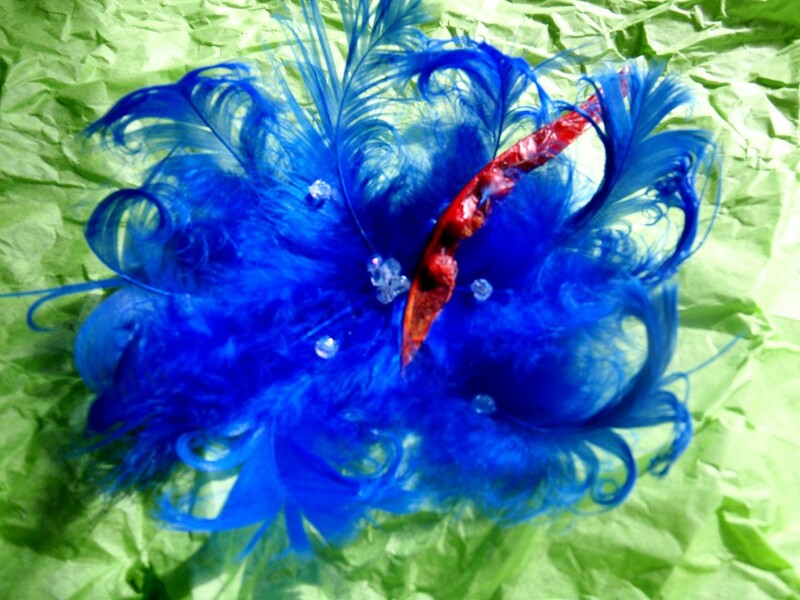 Wear comfortable shoes and bring plenty of water, sunscreen, insect repellent, hat, camera, and sense of adventure. Great Blue Heron with a Fish, Lower Myakka Lake, Myakka River State Park, Sarasota, Fla. The Pink Gator Cafe at the Myakka River Outpost inside the park. 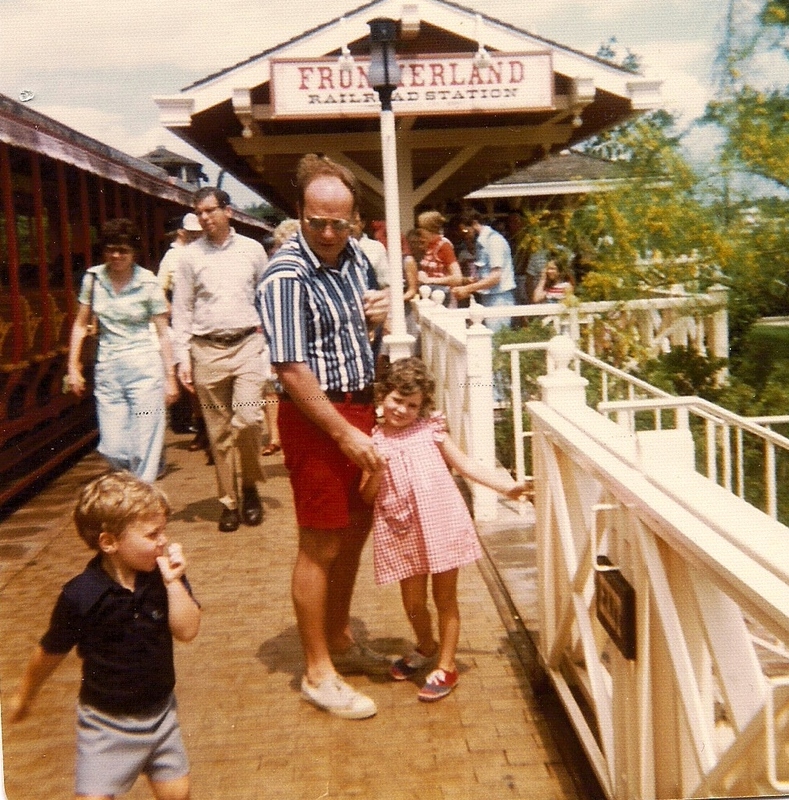 Open 9:30 a.m. – 5:30 p.m. daily, except Christmas Day. Try the Alligator Stew or Alligator Bites.